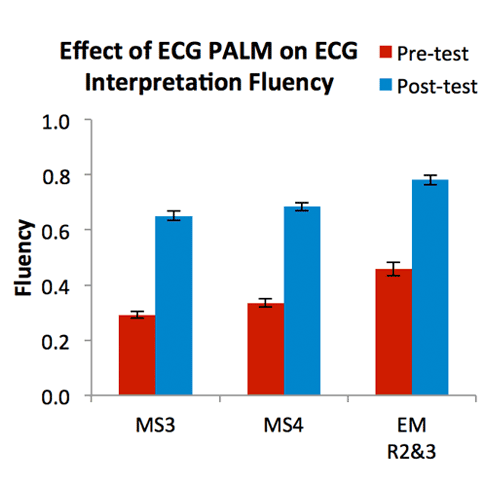 The ECG Morphology PALM significantly improves performance in 12-lead ECG interpretation. A pre-test (red bars) taken by MS3&4 students and R2&3 Emergency Medicine residents, shows a progression in performance with increased educational level. 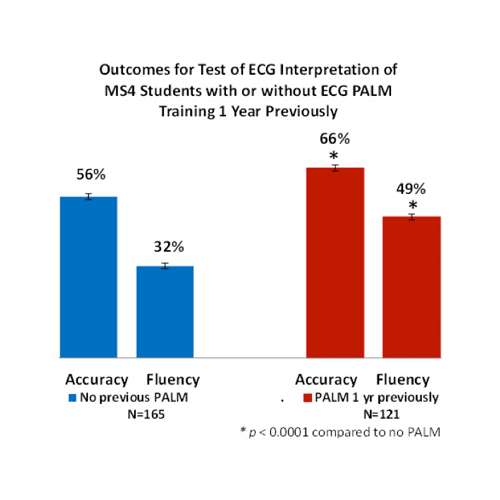 A post-test after ECG PALM training (blue bars) shows that all groups reached approximately the same high level of accuracy and their fluency roughly doubled. Fluency measures accurate recognition within 15 seconds. p < 0.0001 for each pre- to post-test comparison. 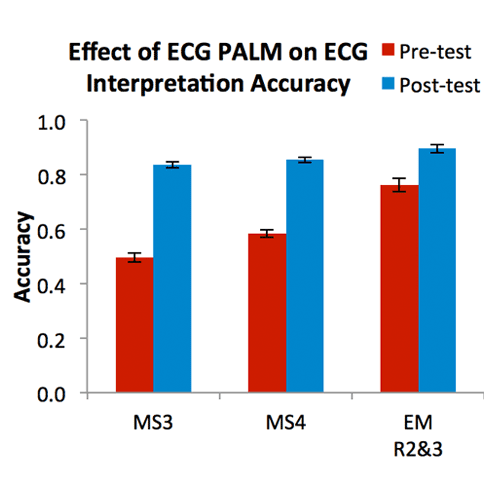 ECG PALM-induced improvement persists for at least one year after training. MS4 students who completed the ECG Morphology PALM during their Internal Medicine clerkships as MS3’s (red bars) scored significantly better on a test of previously-unseen ECG’s one year later than MS4 students who had not completed the PALM the previous year (blue bars).